What is Age Hardening? 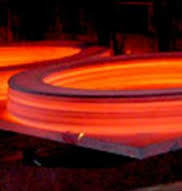 Age Hardening is a heat treatment process used to induce strength in metal alloys which possess a malleable nature. The process gets its name from a step in the treatment where the metal is kept at a steady temperature for a long duration of time. 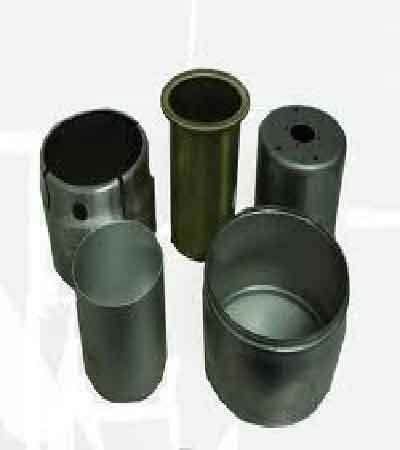 Age Hardening is also called precipitation hardening because the aim of the process is to create a finely dispersed but dense distribution of precipitate particles within the alloy matrix. These precipitate particles then resist dislocation of the crystal structure which provides strength to the alloy. Age Hardening is performed on alloys of nickel, Magnesium, Titanium and low Carbon Steels. Process of Age Hardening: The Age hardening process begins with solution heat treatment in which the alloy is heated to an intermediate temperature between the solidus and solvus lines to form a uniform solid solution. The next step is the rapid cooling or Quenching of the alloy to around room temperature. This step creates a supersaturated solid solution since the solubility limit reduces after cooling the alloy. The third step is Aging in which the alloy is either kept at room temperature or heated to an intermediate temperature between the previous steps to allow the extra dissolved solute particles to precipitate out of the solution and form solid particles. Aging is required to ensure the precipitates are finely distributed throughout the structure. Applications of Age Hardening: Age Hardening produces favourable qualities in the metal alloy such as improved tensile and yield strength and wear resistance. It also makes the part easily machinable and resists deformation due to bending of the part. Age Hardening is used in industries to harden gate valves, shafts and gears. It is also used to strengthen balls, turbine blades, fasteners, bushings and molding dies.